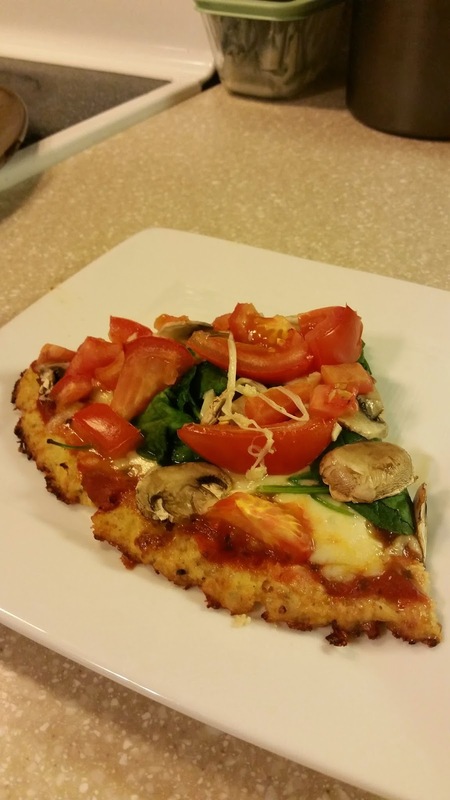 Country Girl Fitness: Cauliflower Crust Pizza!! Today I turned one of my favorite CHEAT MEALS -->PIZZA .. into a pretty darn healthy meal!! Instead of using pizza dough.. 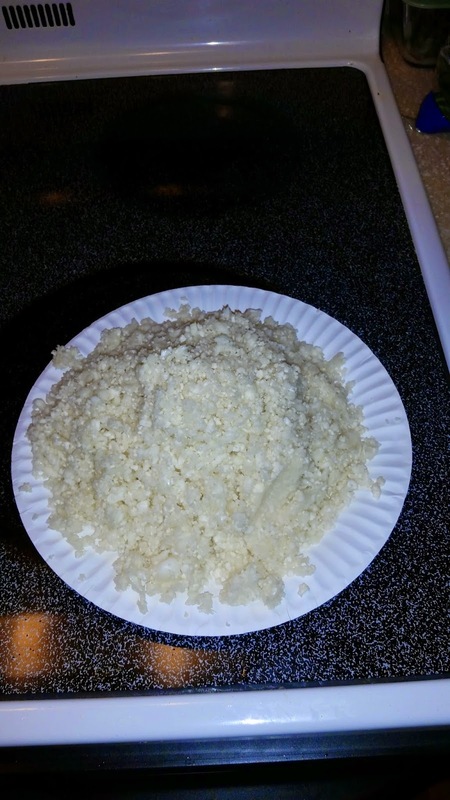 I found this neat way to make the crust out of 'riced' cauliflower!!! On the left are all of the ingredients I used.. also added some garlic and sliced mushrooms (not pictured). 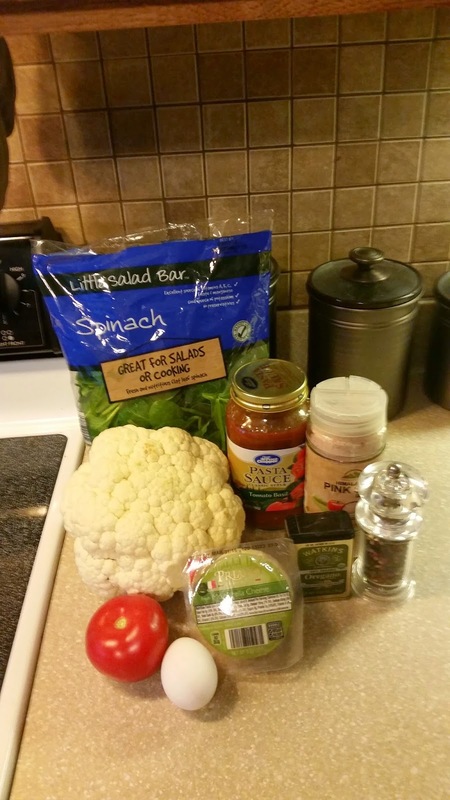 Theres cauliflower.. spinach.. 1 egg.. 1 tomato.. fresh mozzarella.. oregano.. salt/pepper... and sauce (optional). 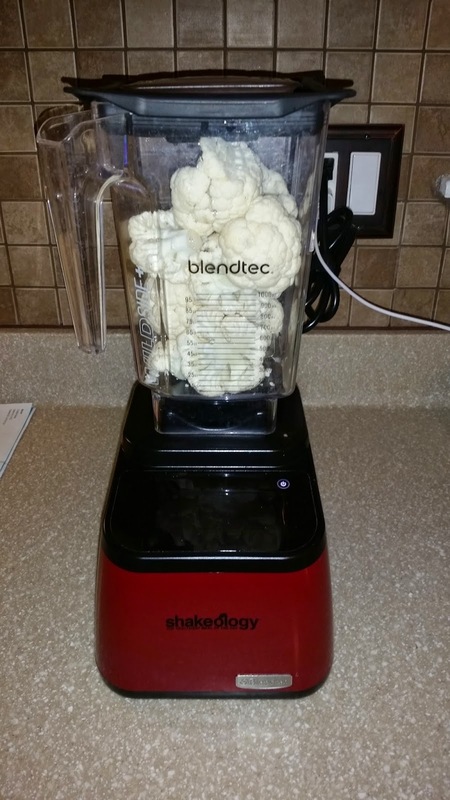 First I started by putting cauliflower florets into the blender to 'rice' it. This was a little challenging.. because I had to keep stopping the blender to push the solid pieces down to the bottom.. Got it done though! Mixed it with an egg, some of the shredded mozzarella, oregano, salt and pepper. 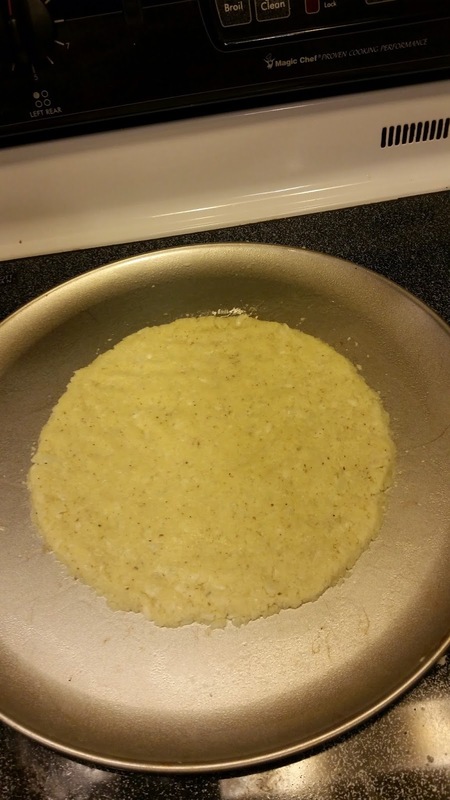 Then I dumped it on to the pizza pan and shaped it into a circle..spreading it pretty thin! Then I baked this by itself at 450 for 15 minutes. And BAM!! 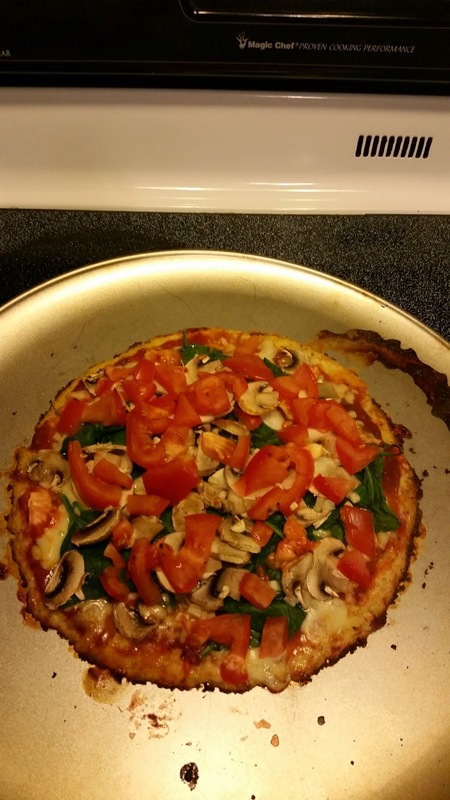 Cauliflower Crust Pizza! No longer a CHEAT meal!!! YIPPEE!!! 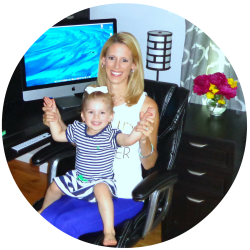 21 Day Fix Meal Ideas!